HONDA TALON 1000 R!! GET READY FOR THE ULTIMATE THRILL RIDE. GET THE ALL NEW HONDA TALON 1000X AT DAVIS MOTORSPORTS IN DELANO!! Please call for price. MSRP on this machine model # SXS10S2X is $ 19,999.00 + $ 940.00 freight. 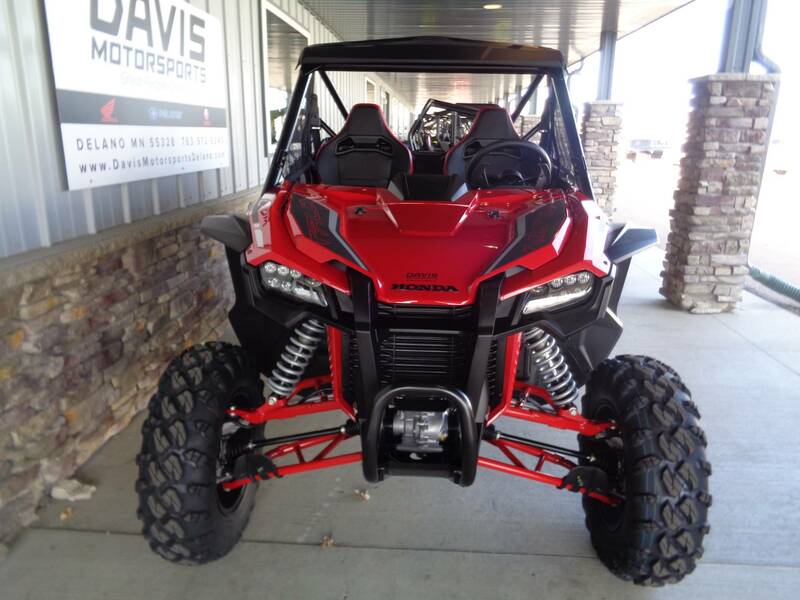 The new Honda Talon 1000X is an excellent choice for anyone who wants to do it all. Both the Talon 1000X and the Talon 1000R share the same powerful, high-output engine, Automatic DCT Transmission, and I-4WD technology package, but the Talon 1000X is 64 inches wide and has an 87.6-inch wheelbase. It also uses a three-link rear suspension, which makes it a natural for owners who prioritize maneuverability and quick handling. 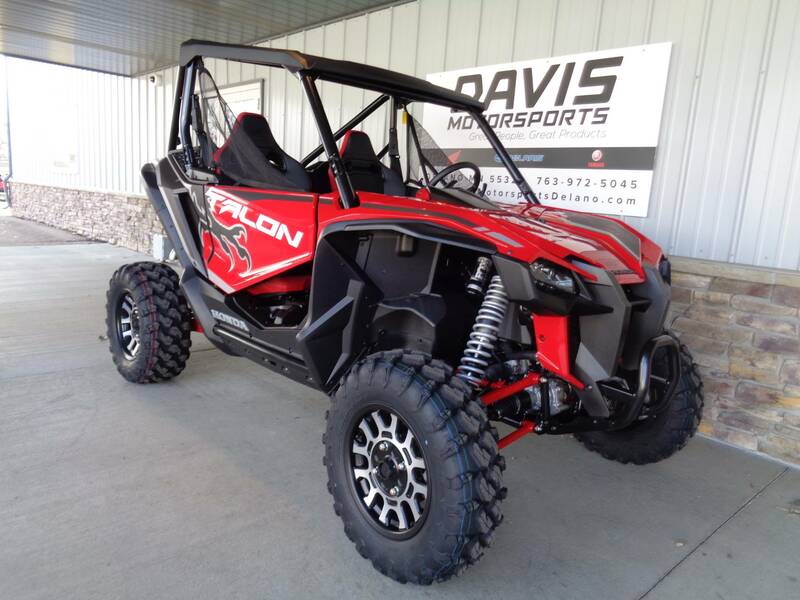 Class leading handling with the Talon chassis and suspension! The Talon 1000X’s refined, high-performance chassis forms the basis for its superior handling and stability. 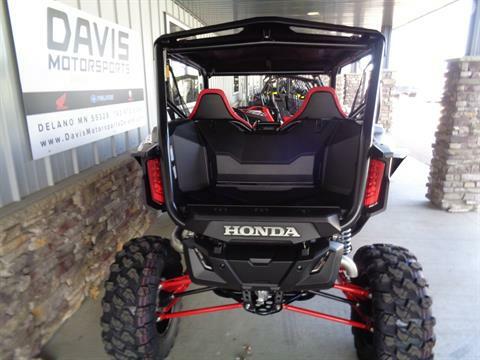 From there Honda added long-travel independent front and rear suspension and generous ground clearance. 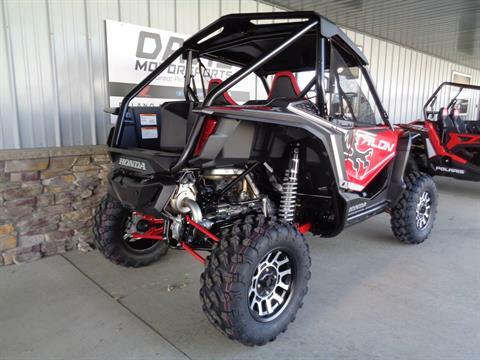 Plus, the Talon 1000X gets premium, FOX Podium 2.0 shocks with QS-3 quick adjustors on all four corners. 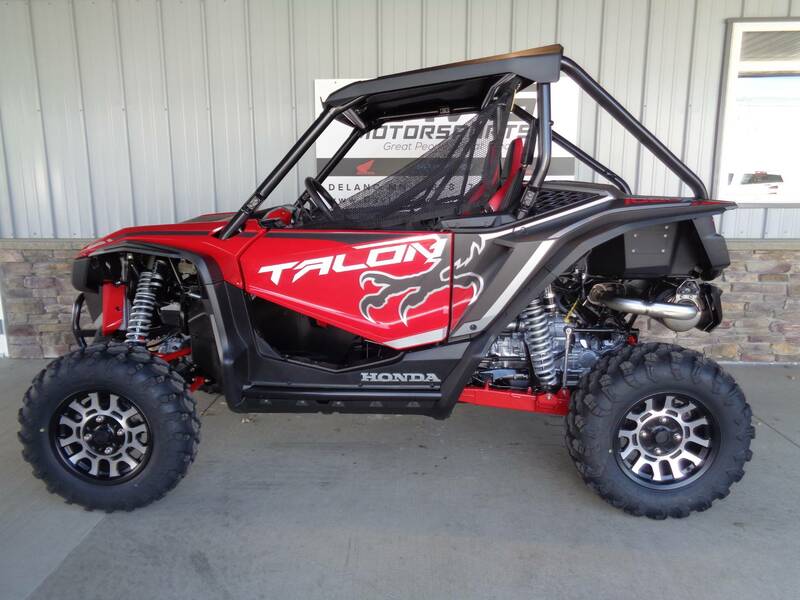 The Talon 1000X features Honda’s three-link rear suspension, with a whopping 15.1 inches of rear-wheel travel for a smooth ride and superior control. 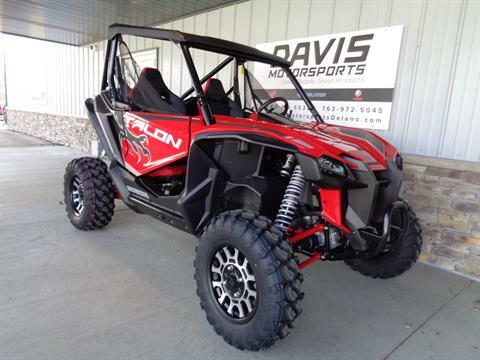 Sport side-by-sides need power, and you’re sure to find the new Talon 1000X offers plenty of it. The Talon 1000X’s 999cc liquid-cooled inline twin delivers the kind of powerful torque and quick-revving horsepower you’d expect from a flagship sport model, but is equally responsive in lower revs and in the critical midrange too. Set longitudinally in the chassis and managed by Honda’s sophisticated PGM-FI engine-mapping system, it delivers the kind of refinement no other side-by-side can match. The convenience of an automatic with the strength, control, and efficiency of a manual, Honda’s DCT lets you drive the way you want. Choose between manual mode and paddle shifters or fully automatic. Plus, the addition of Sport Mode increases the fun, shifting at higher RPMs for a spirited, full-performance driving experience. DCT puts you in control as to what engine speed you want, and what gear ratio. Or you can let it do all the thinking for you. In addition, you also get genuine compression braking and a more efficient power delivery than a belt-driven CVT. 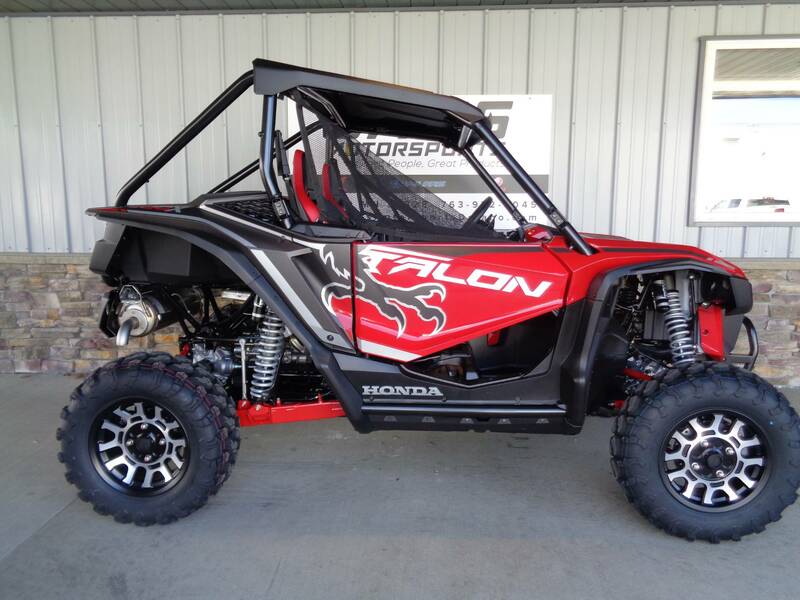 The new Honda Talon 1000X showcases the second generation of our exclusive I-4WD system, specifically tuned to respond quicker and capable of delivering even more drive force. Think “I” for “Intelligent,” because that’s exactly what it is. An industry-first brake-traction control system for side-by-sides, it simplifies operation, increases drivability and optimizes traction. Using proven, advanced technology from Honda’s automotive division, you get the benefits associated with a locked front differential with none of the downsides. That means it maintains front-wheel traction even if one wheel wants to spin on ice or mud or if it’s in a hole. But at the same time, you get the lighter steering, better tracking at high speeds, tighter turning radius, and reduced kickback associated with unlocked front differentials. 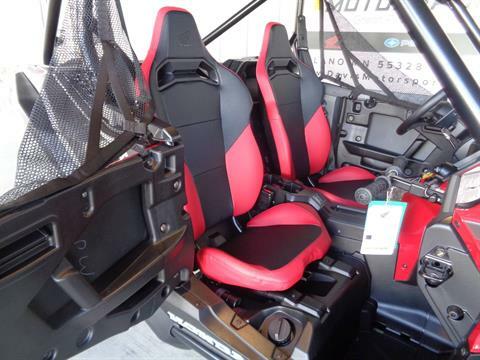 Special software tunes the I-4WD system for sport use. A high and low range in the sub transmission for rock crawling stump pulling torque when you need it. Hill start assist makes starting on inclines a breeze, no backwards creep! 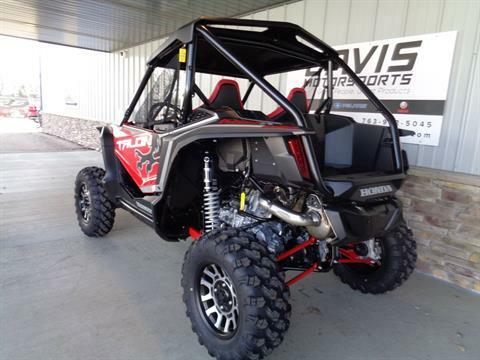 Standard equipment on all Talon models, our Electric Power Steering system helps eliminate bump steer through rocky and rutted terrain, which reduces fatigue. What makes it even better is the added assist you get when you need it most, like when you’re in 4WD, driving at lower speeds, or maneuvering over rough conditions. 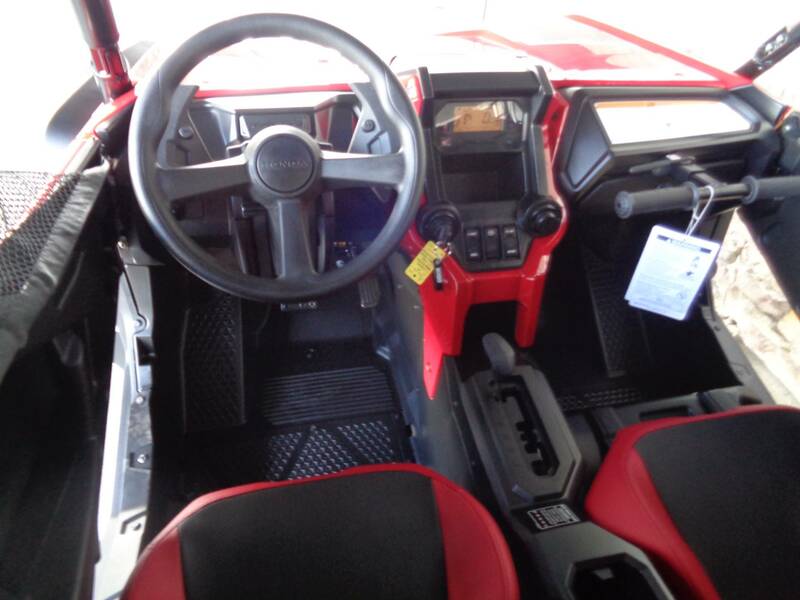 And on the Talon 1000X, the system is specially tuned to give you just enough feedback for sport-driving. Off-road driving is a tough pursuit, and Mother Nature can be harsh. Not to worry—we have your Talon 1000X covered. Literally. Generous skid protection armors vulnerable undercarriage and suspension components. A super comfy cockpit for 2!! 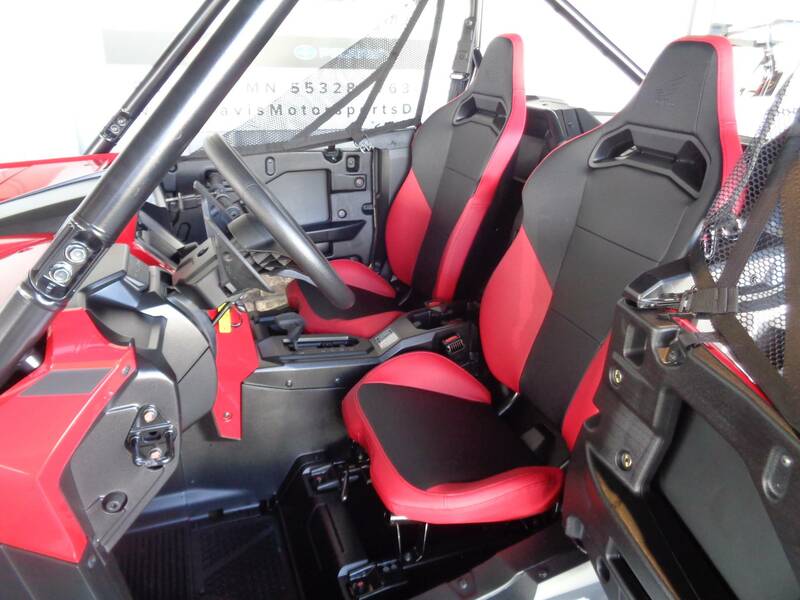 The Talon 1000X’s seats have been designed to be the most comfortable in the industry and they look great with color match materials. Adjustable drivers seat, tilt wheel, digital speedometer and information center, passenger grab rail, half doors with nets, full hard panel roof, Maxxis tires with aluminum wheels, tuned exhaust, painted color matched suspension, front bumper, LED lighting, are all part of the Honda Talon package so you are ready to hit the trail. Great finance options on approved credit. prices do not reflect applicable freight, tax, and license fees. All rebates to dealer. 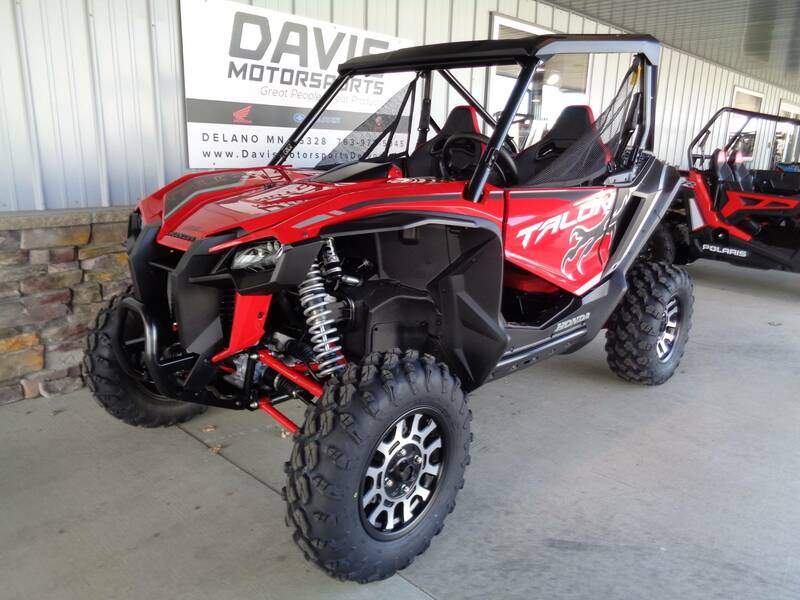 See the Honda Talon at Davis Motorsports in Delano.